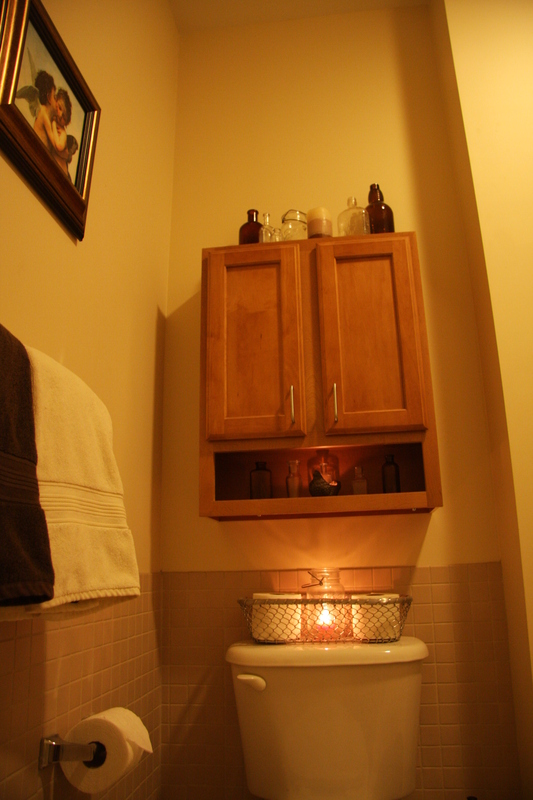 This cupboard above the toilet was there (yay!) 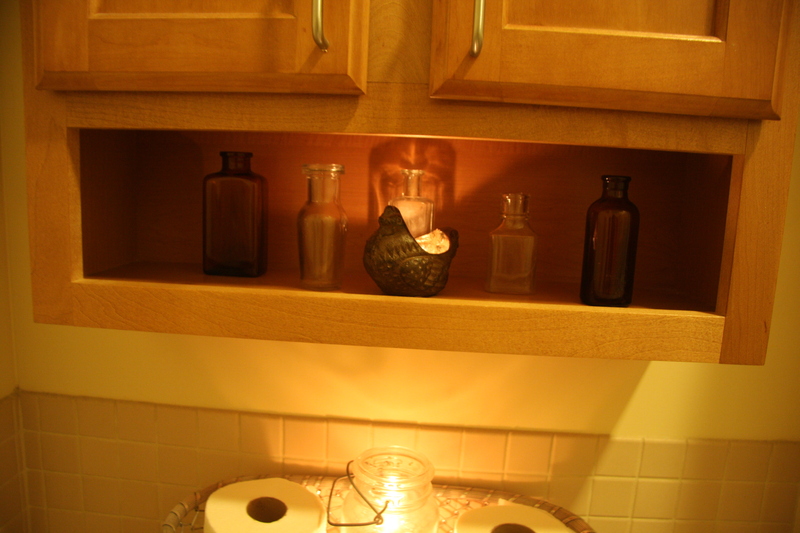 which we can store things in,… but I added a few little touches to the shelves. 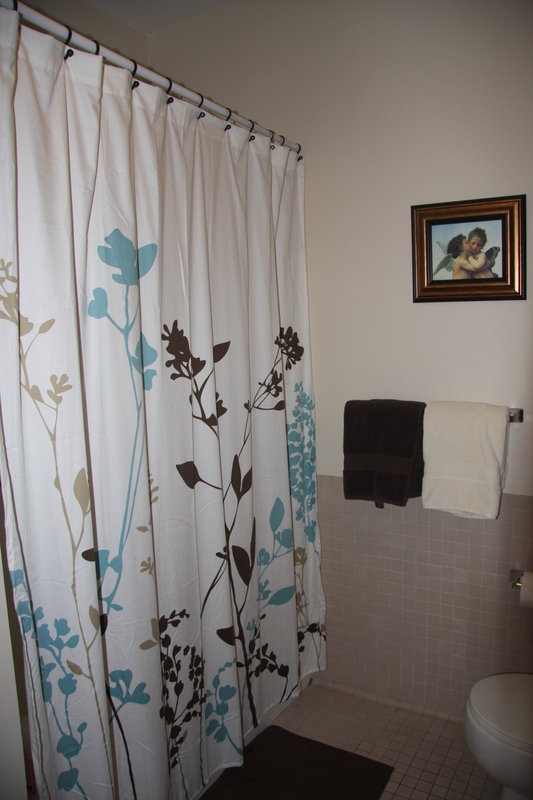 We kept the shower curtain rod (don’t look too closely, ew) but got new hooks and a curtain. 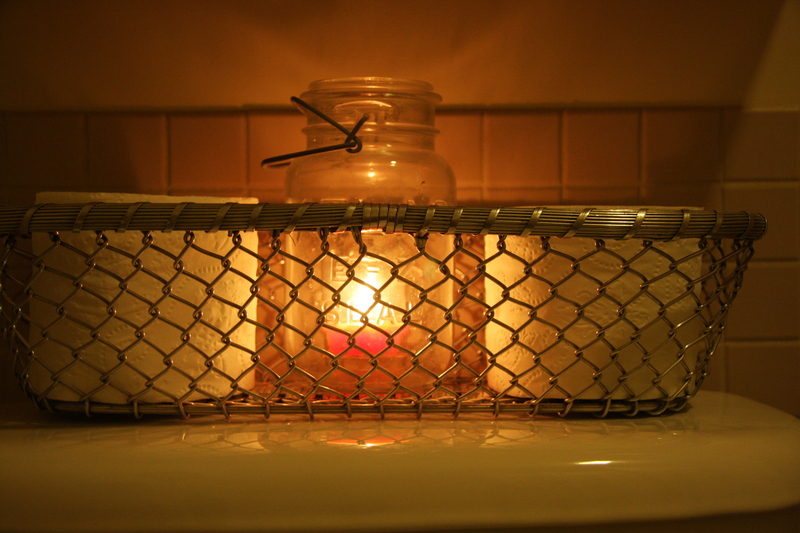 I’m a big believer in candles, as you can tell…. 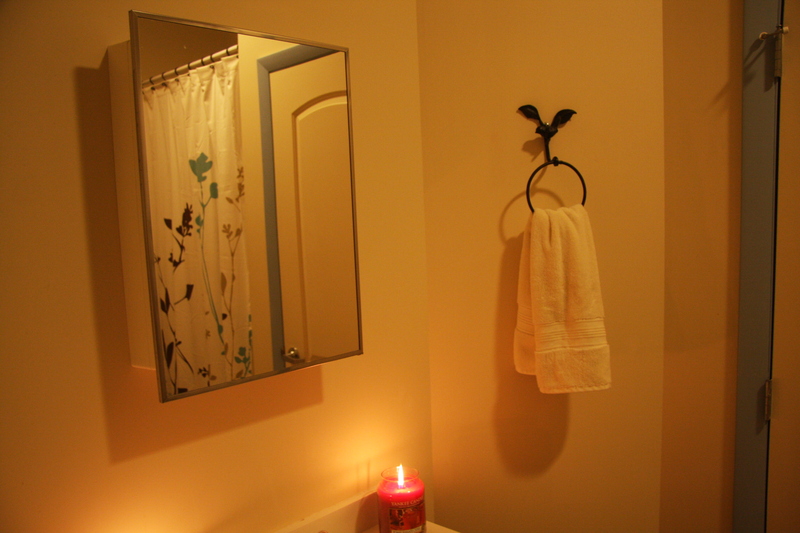 there are candles all over our apartment, but I think one of my favorite places for candles is in the bathroom. Why? Candlelight bubble baths can’t be beat! Do you like this candle holder?! More on that here. 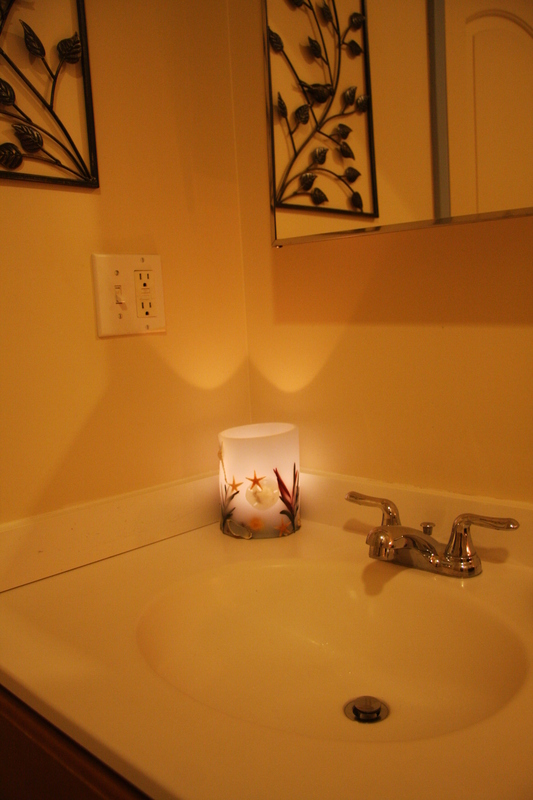 Besides hanging the new light fixture in here, hubby also screwed in the 2 bird accents. 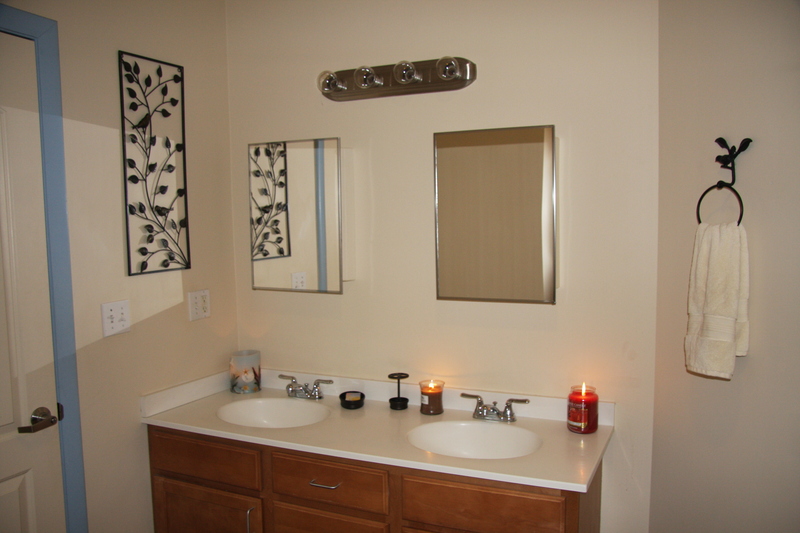 The one on the left wall is a piece from Marshalls (one of my favorite places) and our towel ring is from this adorable place up in Lewiston, Maine called Nest. don’t have time to browse it all at the moment but I have saved it and also added your RSS feeds, so when I have time I will be back to read much more, Please do keep up the fantastic job.